The Margarita is a cocktail mainstay, an anchorpoint of every bartender’s repertoire with endless variations. The look and taste are instantly recognizable, with a bitey, earthy and sweet profile and trademark salted rim. The essentials, however, always remain the same: tequila, triple sec/cointreau, and lime. But alcohol is not always an option, whether you’re driving, working or simply being kind to your body. Don’t fret; you can still get all the zesty, fruity freshness without the impaired motor skills and next-day headaches. Which brings us to the wide and wonderful world of non-alcoholic cocktails. Sometimes called virgin or mocktail, the right recipe can deliver the best of both worlds. Place the salt on a shallow plate. Run the lime wedge around the edge of the glass, then dip the rim into salt. Place citrus juices and ice in a blender and process until smooth. Pour carefully into the prepared glass, avoiding the rim. Add a slice of lemon or lime. Once you’ve mastered a basic virgin Margarita, you can start to mix it up with different versions to suit a particular craving or occasion. The frozen version of the Margarita is sweet relief over the summer. And of course, fruit iterations of the Margarita are hugely popular and translate well to a mocktail format. These work brilliantly with frozen fruits or berries to make a slightly sweeter chilly treat. Not a fan of sweet, sticky drinks? 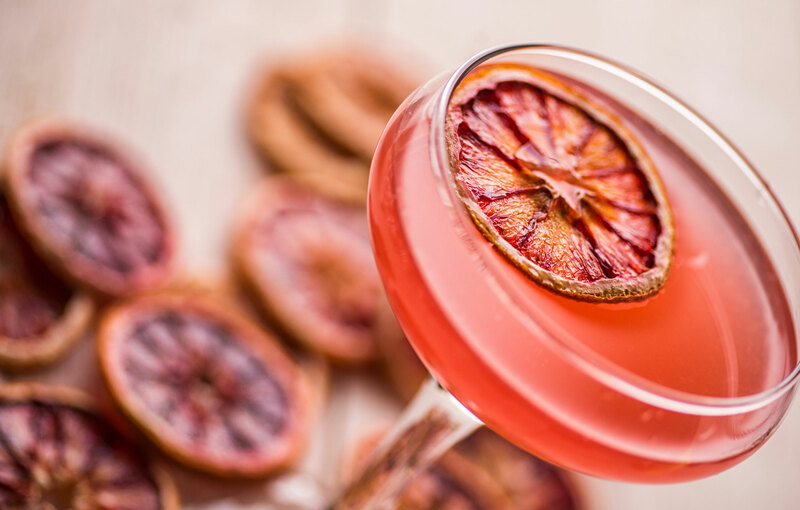 This mocktail will give you a fruit fix without any excess sweetness. Passion fruit puree, an unsung hero of the freezer section, anchors the taste and packs a bright, zingy punch without being bitter. We’ve halved the lime measure and swapped the salt for sugar to ensure the drink doesn’t get too acidic. Line the edge with the lime wedge, then dip the rim of your margarita glass in the sugar. Combine orange juice, puree and lime in a chilled shaker with ice and shake vigorously until blended and cool. Pour carefully into your prepared glass, leaving a few fingers of space below the rim. Gently drop the cut passionfruit into the drink. We’ve selected a raspberry recipe for this mix but strawberry will work equally as well, and yield slightly sweeter results. You can use fresh berries when they’re in season, but frozen berries will work well to create a chilly, sleek mouthfeel, and mean that you can serve this one all year round. Will satisfy cravings for ice-cream, cocktails, or just something that looks incredibly appetizing in your hand. Kids will absolutely devour these, especially on hot days. Prepare the sugared rim in advance using the lime wedge (as above). Place berries, citrus juices and ice in blender and blend until smooth. Pour carefully into glass. Garnish with whole or sliced berries, according to preference. This fresh-to-death virgin cocktail sticks closely to the traditional recipe, but is subtly transformed by the addition of a few fresh mint leaves and replacing a measure of the lime juice with lemon. This recipe is not far from a virgin mojito but a little more intense without the soda mixer. It can be quite tart, so for younger drinkers or a sweet tooth, consider adding half a cup of simple syrup. Use a lemon wedge to salt the rim. Combine citrus juices with ice and mint leaves in a large cocktail shaker. Use a metal stirring stick to muddle until mint leaves are fragrant and lightly bruised. Strain to remove mint leaves and ice. Pour and serve with mint leaves and lemon as garnish. The Banana Margarita is really just a glamorized smoothie with a little lime bite. To give it an extra creamy, tropical flavor, add a little coconut cream and vanilla essence. 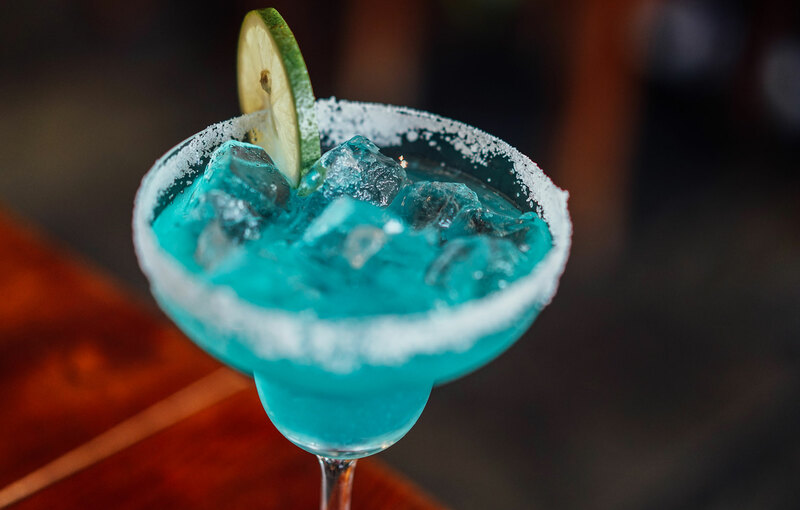 Sugar on the rim helps keep it sweet and flirty, but salt will also work to add complexity to the taste. Use lime wedge to rim your glasses, then dip in sugar. Combine bananas, juices, coconut cream and vanilla essence in a blender with ice. Blend until smooth and even. Pour cautiously and top with banana slices. Generously sprinkle with dessicated coconut. Avocados have a lot to answer for, with their penchant for causing hand injuries and bankrupting millennials, but really, is there any recipe that can’t be improved by an avocado? A Margarita always goes well with Mexican food, but this one makes a particularly good pairing. Add an avo to your virgin Margarita to get a little more savory and a bit more experimental. The creamy texture of the avocado pairs beautifully with zesty lime and sharpness of salt. Spice with a touch of cayenne or even a jalapeno or two. Rub lime wedge around the rim of glass, then salt rim. Combine avocado, lime and orange juices, tonic water, cilantro and cayenne in blender with ice, blend briefly. Pour carefully into the glass and garnish with lime wedge and jalapeno.